Here today to share with you a mani inspired by U by Kotex with 3D Capture Core! And giving you the chance to get a FREE SAMPLE (while supplies last) and #SaveTheUndies! Yes, of course it's awkward to discuss..but I also have a set of undies just for that time of the month. That's why I got the overnight pads, so I can sleep sounder and not worry! U by Kotex® Ultra Thin Pads have 3D Capture Core*, a one-of-a-kind center that locks away wetness to help stop leaks. Available in our Cleanwear® pads, AllNighter® pads and Security* pads. • Unscented ultra-thin period pads for women (free of artificial scents and fragrances). • Easy-open wrappers in four fearless designs. You can see how thin and non-bulky these are! Hooray for non-bulky Save the Undies protection. Make sure you snag your FREE SAMPLE before they run out! 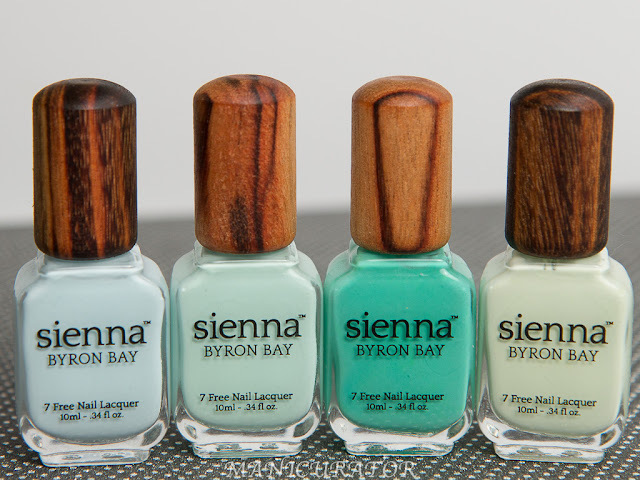 And of course, the pretty packaging was screaming nail art!! So I just had to, made these freehand. My base color is OPI Suzi Has A Swede Tooth. OPI Dining Al Frisco is the blue and OPI A Grape Affair is the purple, even though it looks blackish its a dark purple. Thanks for reading, do you like the design? Hope you grab your free sample of U by Kotex with 3D Capture Core. 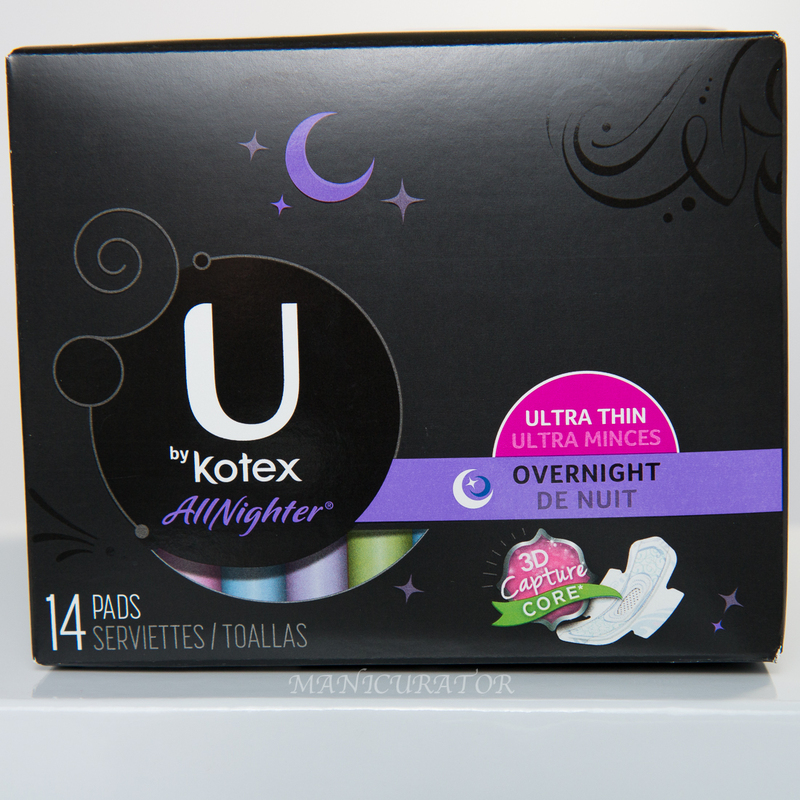 Thank you to U by Kotex for sponsoring today’s post and inspiring me to become an #UnderWarrior and stay confident! It's like they designed the packaging just so you could make nail art inspired by it! Soo cute! Great job with the nail art sweets! Love the nail art you got from the packaging on them. The nailart matches the packaging so nicely! Really cool :). Love that nail art! We don't have this brand in Europe, I wish our pads had such cute packaging LOL! Anything to make that time of the month a bit more bearable is a win in my book! Awesome nail art! U by Kotex is my favorite brand! Ugh, I die, another amazing nail art! I love the packaging and I, of course, love your nail art! So cute and bright! 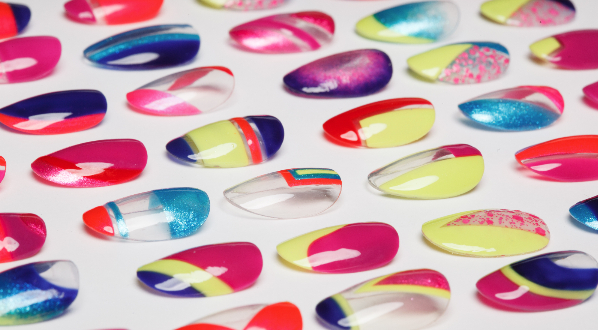 Love this bright and cheerful mani! I like the matching nails! They look pretty as can be.